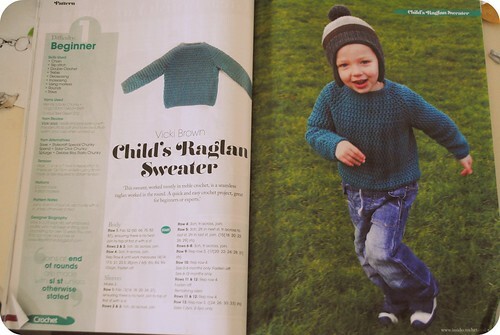 My third pattern to be published by inside crochet is in this months issue and is this super quick and easy child's raglan sweater. 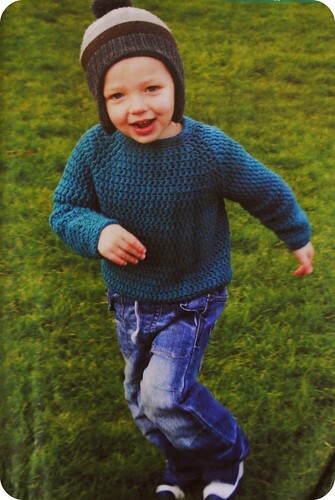 I made a version up for Milo in the summer time as a sample, I used paton's shetland beehive, that I found in a charity shop, unfortunately this yarn is now discontinued, so for the inside crochet sample I used Wendy mode, which was lovely, so soft and snugly. 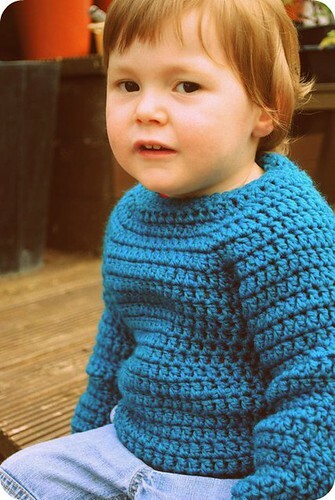 It's a great project for a beginner or an expert looking for a quick make.